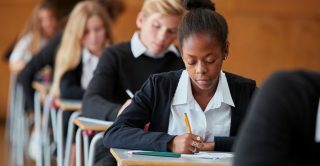 A new database has been created to enable researchers to track the performance of schools more accurately and efficiently than ever before, helping to paint a clearer picture of education in England. Funded by CLOSER, the ‘Consistent Schools Database’ (CSD) provides data on school performance, alongside information on school mergers, splits, closures, openings, and changes in school status from the years 1999 to 2014. The resource, created by Dr Bilal Nasim, of the UCL Institute of Education, and Dr Ellen Greaves, of the University of Bristol and the Institute for Fiscal Studies, allows schools to be linked both forwards and backwards in time, enabling information about a school to be traced in either direction, whatever year the researcher starts from. Previously, academic researchers and policymakers could make use of the School Level Database (SLD), an administrative dataset collected annually by the Department for Education, which assigned each school a unique identifier. However, if certain characteristics of the school changed between two years, such as merging with another school, or changing to an academy or religious school, the SLD assigned the school with a new identifier, different to its previous identifier. On average, this occurred for around 5-10 per cent of schools in any given year. The SLD also had a significant amount of missing data and virtually no information on schools before 2006. Dr Nasim said: “This was a problem for any researcher interested in observing school progress or changes in school characteristics over time. Indeed, researchers have shown that not accounting for the changing identifiers of schools has had real impacts on research findings. The research was funded by the Economic and Social Research Council (ESRC) and Medical Research Council (MRC). Researchers interested in using the CSD can request the dataset by emailing closer@ucl.ac.uk, giving your name and place of work, and explaining what research you intend to carry out using the data. Read Dr Bilal Nasim’s blog, Just how good are academy schools?